If you’re looking for the ultimate party experience in Liverpool, look no further than Morgan’s Vault. Morgan’s vault is situated in one of the most unique venues in the city, this suite is the perfect place for an unforgettable pool party experience. 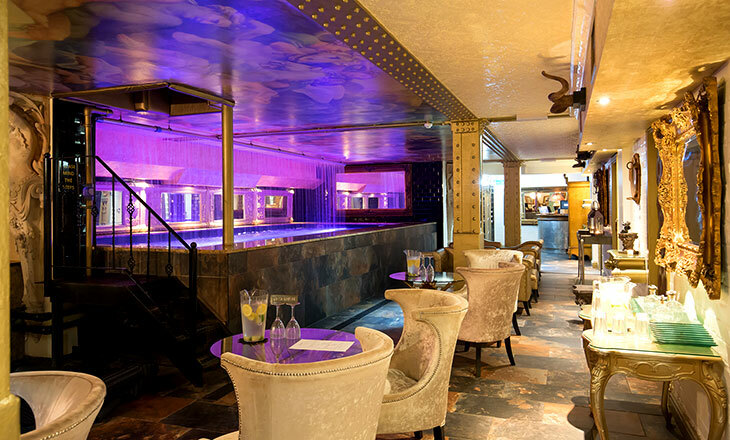 Imagine hosting a private celebration of up to 60 people in the luxurious setting of Morgan’s Vault, located in the depths of the opulent 30 James Street Hotel. Enter this subterranean hotel room and be amazed by the stunning interior, which transports you to a decadent cabin of the Titanic. 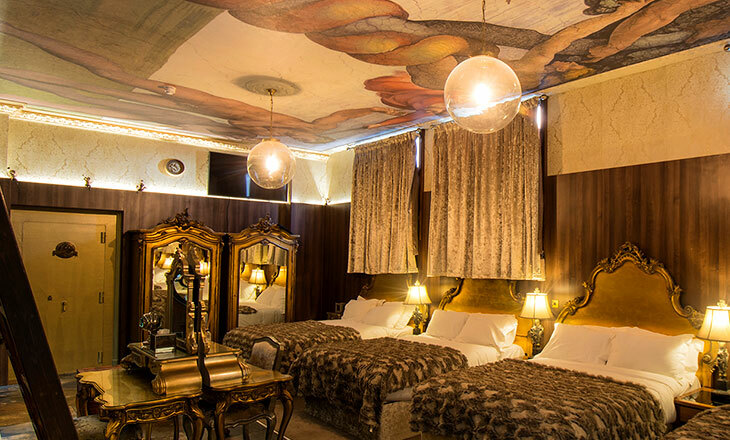 As you explore this gold, elegant room featuring crushed velvet curtains over the beds, ornate furniture and opulent murals adorning the walls, your eyes will be drawn to a sturdy steel door, set at the rear of the room. This is the secret door that unlocks the way to Morgan’s Vault. Through the door you and your guests will descend a mysterious spiral staircase, which leads to the glistening, pearlescent floor below. A spa by day, but your very own Morgan’s Vault by night, you will discover a breathtaking private pool party venue like no other. You and your guests have access to the spectacular private pool all night, so you can party into the early hours. 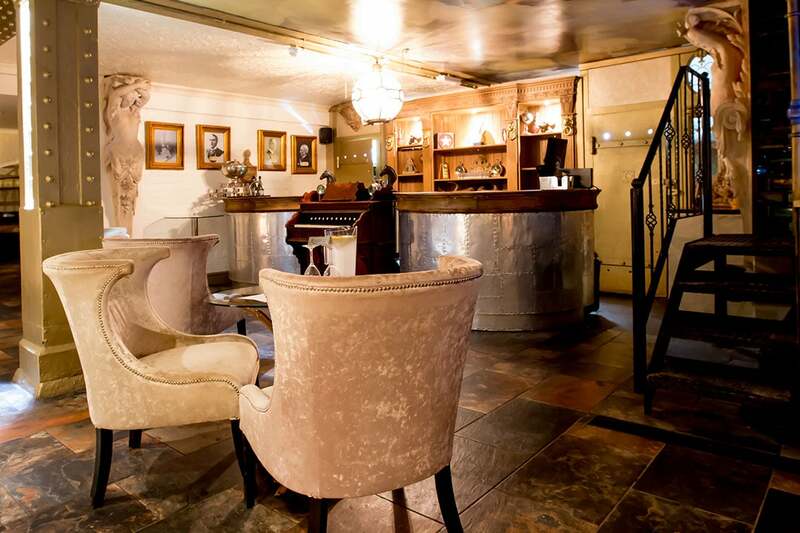 A dedicated barman will serve you drinks from the well-stocked, private bar area, so there’s no need to stop the celebrations. Morgan’s Vault also includes space for a DJ, so you can really make the most of this pool party apartment in Liverpool. 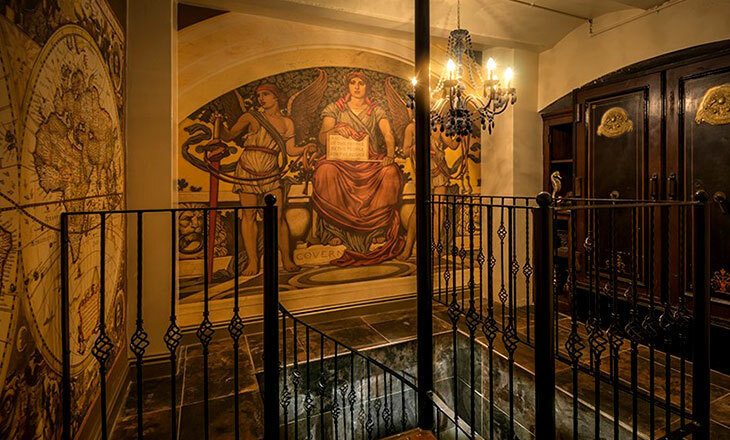 A stay in Morgan’s Vault is the experience of a lifetime. Signature Living are dedicated to creating unforgettable parties and celebrations that you and your friends are sure to remember forever. When you arrive at our luxurious hotel, our dedicated team will check you and your guests in and show you to your unique, party room. After getting settled in your room your personal concierge for the evening will arrive with a special golden key. This key allows guests to unlock a heavy vault door that was an original feature of the White Star Line head offices that once resided at 30 James Street. Behind this door is where your Morgan’s Vault pool party experience can begin. 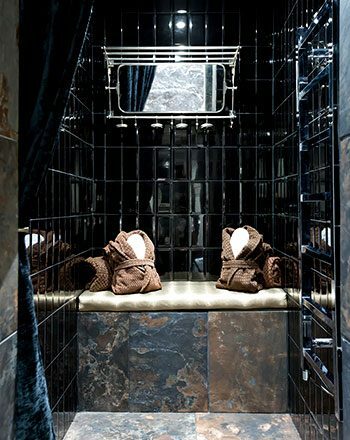 The main room in Morgan’s Vault sleeps up to 20 people in 10 double beds along with two double whirlpool baths. You can also have another 28 guests staying in the other rooms on the same floor, so all of your party have somewhere luxurious to rest their heads. During your stay, our team will endeavour to meet your every need, to ensure your stay is nothing short of spectacular. I organised a Hen weekend for a group of 20 and we stayed on the burlesque floor. The staff were really helpful. Rooms had lots of space and were clean and tidy. Kitchen space was great and the bread and milk were lovey touches. Would recommend the hotel to anyone! 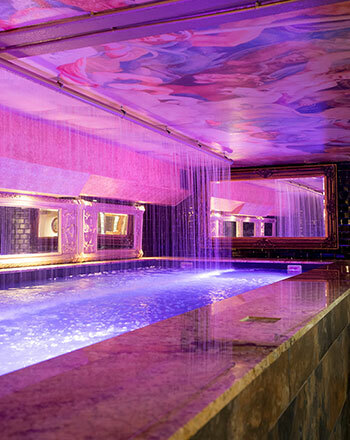 There isn’t another pool party room that compares to the unique luxury of Morgan’s Vault. 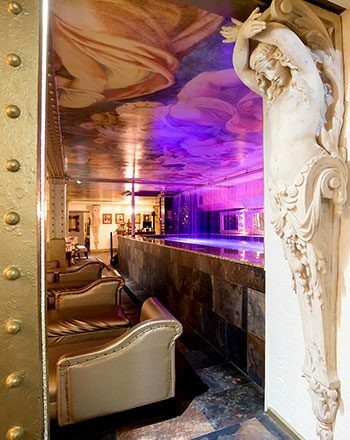 This stunning pool room features state of the art facilities including a private bar which has been designed to replicate an ornate organ, surround sound, dance floors and of course, a breathtaking pool area. We have gained a well-earned reputation for our exclusive pool party apartments in Liverpool, which are perfect for large celebrations, hen and stag do’s and birthday parties. The Morgan’s Vault reviews speak for themselves, so what are you waiting for? Book this group party apartment in Liverpool today and create unique, lasting memories with your friends. No one does pool parties like Signature Living. With the best city centre locations and spectacular suites, we promise you won’t find a pool party apartment like ours, anywhere else.